Australia has been a party to Peacekeeping operations since their inception in 1947, although generally on a small scale. Peacekeeping and Humanitarian Operations became a focus for Australia and its Defence Forces in the latter quarter of the 20th Century with a number of large scale deployments. This commitment reflected widespread instability in the world, short of or following on from actual conflict. While most have been under the auspices of the UN, others have been under other arrangements. Peacekeeping Operations have taken Australian personnel to every corner of the globe, where they have distinguished themselves as professional, pragmatic and culturally aware people who are able to rapidly restore confidence, trust and order in traumatised communities. 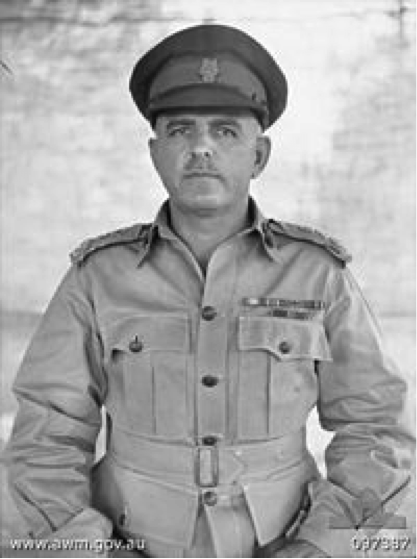 Notably, an Australian, Lieutenant General Robert Nimmo was to be the UN’s longest serving and one of its most highly regarded Commanders, heading the United Nations Monitoring & Observer Group India / Pakistan (Kashmir) from 1950 until his death in 1966. When he died the Indians and Pakistanis accorded him a funeral on a scale not previously seen for an Australian military leader. His was a UN record that is unlikely to be broken. Major General Peter Cosgrove commanded the International Force for East Timor (Interfet) from 1999 to 2000. Police personnel have also deployed on Peacekeeping duties, notably to Cyprus in the 1960s and 70s and more recently in SE Asia and the SW Pacific. Civilian personnel from the Electoral Commission, AQIS (Quarantine) Customs and the Red Cross have deployed on many operations to carry out prescribed tasks. It was not until the late 1980s that Australia began fielding large contingents of troops, commencing in Namibia and then in quick succession Cambodia, Somalia (Operation Restore Hope) and Rwanda, culminating in 1999 with Australia assuming responsibility for a stabilisation mission in East Timor on an unprecedented scale that finally concluded in late 2012. Operations in the SW Pacific (Solomon Islands) concluded in 2013. South Australians have historically made up a disproportionately large share of the military's specialist medical personnel. There is a strong tradition of Reserve service among South Australia’s medical professionals and para-professionals. They are called on in many Defence and civil emergencies from warlike deployments to Emergency Relief operations such as the Bali Bombings, the Sumatran Tsunami in 2005, Pakistan earthquake and in the wake of various extreme weather events in the SW Pacific. South Australians have served in the Regular and Reserve Force contingents deployed to trouble spots. The Adelaide 3rd Forward General Hospital (more recently designated the 3rd Health Services Battalion) deployed to East Timor as a formed unit in 2005. It was originally formed for service in WW1. Most recently Reserve personnel from the Adelaide based 9th Brigade have made a significant contribution to operations in Timor Leste and Operation Anode in the Solomon Islands from 2008, concluding in 2013.